 Roma the Blog... - Organised Equestrian - bringing inspiration to the equine world! 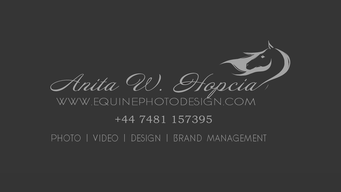 Organised Equestrian ...bringing inspiration to the equine world! Part 2 - Fear; a matter of trust...? It’s taken several weeks of stop starting to write this entry. It’s a mammoth subject for most people and one I want to do justice to, whilst I indulge myself in an exploration of my own experiences. Fear is an interesting thing. A response from the brain to potential danger, it keeps us safe. We need it to survive. It can also, more often than not, be irrational and debilitating. The brain works overtime and creates dangers that may not even exist. We see this in our horses every day. The ones that spook at the shadows…the falling leaves… the goblins in the bushes. Fear has had many faces in my life. From the terrifying thought of falling over as a child (and actually, off my horse as an adult… but we’ll get to that…! ), to the dreaded walk across the darkened car park, keys strategically placed between each finger - knuckle duster style - ready to fight off male predators. I am frightened of being out of balance and out of control. I worry about all the things that could go wrong in every situation. I don’t like to be out of my comfort zone and I like to be close to home. I understand the goblins in the bushes, because I see them too! They are SCARY. That I have a fairly decent level of emotional fitness and a relatively positive outlook on life is both my balance and also my shield to the rest of the world. Nobody has a clue!! So, back to topic… What does a person like me do when they have ambitions that frankly scare the crap out of them?! Ponder that for a while as you read on. We know about Roma… she is argumentative and challenging and also it transpires, incredibly athletic and talented. Who knew?! So when we combine all these elements, it takes one hell of a rider to channel all that energy in the right direction. This is most definitely our year. We are in such a great place. She is more rideable than ever – willing (this is relative, you understand!! ), stronger, fitter, softer. I am more in tune – listening (again, relative – let’s not ask too much too soon! ), slower, stronger, fitter, softer. I notice how much I improve each time I ride. She notices too. We have great plans for this year. 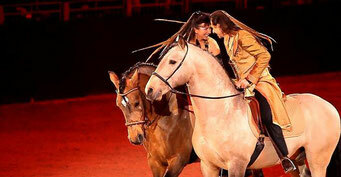 We have already ridden with Mikey Wazenried and Silke Valentin. Both excellent clinics, where we were challenged and I think, stepped up to the mark. Naturally, Roma continues to make herself the centre of attention at every clinic… I sigh here in mild exasperation. I don’t think this will ever change, but then of course, she is my horse!! The rest of the year will see us riding with Melanie Smith Taylor, Pat Parelli, Tik Maynard, Wally Gegenschatz and Jean Luc Cornille. And most importantly…cue trumpets…we have made a commitment: To ride our very first one day event. Oh good god, bring me an inhaler. My airways have literally closed up, simply writing that down! Because everyone, that is, believe it or not, what I actually want to do. Deep inside this frightened, repressed, over-thinker, is an adrenaline junkie. I know! It’s a conundrum!! I don’t like water slides or roller coasters, but I really want to gallop across several grassy miles and hurl myself over permanent, unforgiving wooden fences. Possibly into water. On a horse that has opinions about everything. Yes, that makes a lot of sense. There is a philosophy that all fear, regardless of the area of one’s life in which it shows up, amounts to one simple thing – the fear of death. I don’t need this philosophy to explain anything, because it is very simple for me. 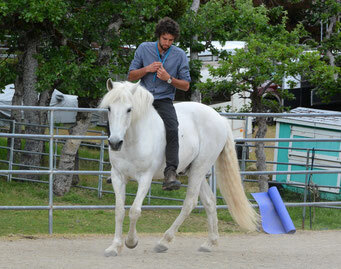 When I ride Roma, I am occasionally frightened I might die! What I’ve been exploring recently, is that my fear is rooted in trust. Or the lack of. Is this the same for everyone? I don’t trust that there aren’t any goblins in the bushes! I don’t trust that she won’t freak out at said goblins (as we know, Roma does drama in a big way and it does not feel good!). I don’t trust that she won’t gallop off in fear, leaving me powerless to stop. She is strong when she sets her neck. I don’t trust that I won’t break my bones if I come off over a jump. I don’t trust that I can manage the energy that I feel in her when you combine her steely determination with speed. And whilst I’m so busy keeping myself anxious about all the things that could go wrong, I forget to be in right now. I am paralysed and I can’t go forward. This originally flagged up for me several months ago when I was taking a riding lesson from my boyfriend. As usual, I was arguing and panicking and arguing some more as he was trying to push me out of my comfort zone and get me to do something – I forget what. I’m not a fun student for him! He maintains that as the instructor, he can see what I’m capable of and would never ask me to do something I cannot do. That I should trust him. I maintain that as the ACTUAL PERSON, I am very aware of what I can and cannot do and that he is putting me under pressure and that I am going to EXPLODE. Of course I don’t trust him – he’s not me, he can’t feel what I feel, so he can’t possibly know! I often fight back tears in these sessions. And I feel a bizarre mix of anxiety and anger which makes me brace in every joint of my body and determine that once I’ve dismounted and am safely on the ground I shall promptly end this relationship, because we are clearly completely wrong for each other! Good. That will solve the problem. I feel better now. But when we’re finished and I haven’t completed the task because I’ve had such a meltdown, I feel deflated. You see, I want to do the stuff. 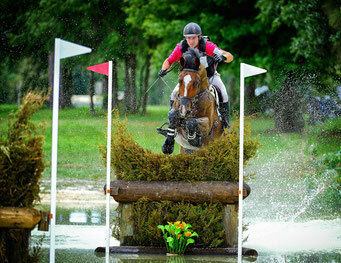 To jump the jumps, to canter smaller circles faster, etc. But fear paralyses me and then makes me fight. Because in that moment I feel like I am fighting for my life and that I am the only one that can save myself. And so I don’t do any of the stuff and I come away feeling, well, a bit pants really. And then, when my emotions settle, I wish I’d have just gone for it. So fast forward…. I decide to start pushing my own boundaries. I mean, if I am serious about doing a one day event at the end of this season (get me the inhaler…) then I really ought to try and jump something before we go there. Maybe even a few times! My monologue concludes – for the moment – with a session with Julia Fairfax. Julia is a practitioner of Vibrational Medicine and has been working with Roma and I for a little while on energy anatomy. Our sessions are always mind blowing, in various ways. She is teaching me to release my fear and she is pushing me hard, knowing my goal. This time (apparently) we were ready for the jumps to come out. Now, we’re only talking a few trot and canter poles and two small jumps, two strides apart, but my heart started to pound hard. It’s been a long time since we jumped and there has never been any consistency, because as we are all well aware by this stage in the piece, I’m scared! Roma’s jump is BIG. It’s what she’s bred for. Whenever I think about it, I find excuses for everything else to take priority. But you can’t go out on a cross country course, having only worked on a nice shoulder in! So, I did it. I took a deep breath and went for it, muttering several expletives and atoning myself of all the sins I could possibly remember committing as I approached the first jump. WELL!! I could not believe how much she came alive. And it felt so good. BIG. But amazing. 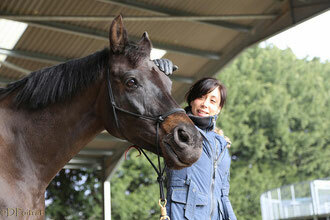 My ordinarily indifferent, argumentative horse, suddenly got excited and willing and fun! And FAST! She saw every stride and carried me over every jump. Catching me on the other side, I might add - I am not quite as talented as her! It was literally a point and go situation. I did nothing. What a girl! And I didn’t fall and nothing bad happened and actually by the end, I had relaxed enough that we were in it together. So I learned some things. Firstly, the problem is me and the fear is irrational. I could have come off several times but she didn’t let me. When I say she caught me, I mean it. I was mostly behind the movement and she waited for me to catch up each time. Secondly, trust myself that I can do it, because I did. Thirdly, trust her that she will deliver, because she will. And so there is nothing to fear and it all just comes together, naturally. Zero brace. To leave you with a summation of all of this… the first year I met Tik Maynard, I remember asking him about his training techniques. 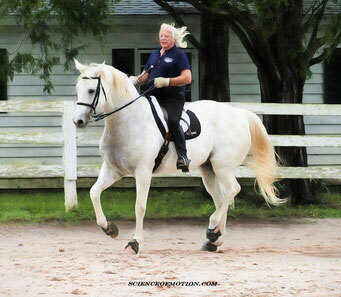 I am a big fan of Tik’s horsemanship. I love watching him work with a horse. He just looks like he’s having a great time all the time and his horses do too. They’re all surf dudes! As relaxed and easy going as he is. Anyhow, when I asked him to dissect his methods for me to study in detail, he looked at me and said “I just expect it”. That was all. Fear is a feeling, but so is the opposite of fear, whatever that is. Confidence, maybe. You just expect it and then it happens. You see it in your mind and it manifests as your reality, just like the goblins! Simple. Nicole and Roma at the Silke Valentin clinic, February 2016. I chose to investigate each substance and I read yours. My compliment about this blog is exceptionally positive I visit this blog first time and inspire by this good stuff work. There is really cute story. So I adapted a few things. Right off the bat, the issue is me and the dread is unreasonable. I could have fallen off a few times yet she didn't let me. When I say she got me, I would not joke about this. I was for the most part behind the development and she sat tight for me to make up for lost time each time. Furthermore, believe myself that I can do it since I did. couldn't trust the amount she woke up. Also, it felt so great. Huge. In any case, astounding. My usually detached, contentious stallion, all of a sudden got energized and willing and fun! Furthermore, FAST! She saw each walk and conveyed me over each bounce. Getting me on the opposite side, I may include - I am not exactly as gifted as her! It was truly a point and go circumstance. I didn't know about Roma, this name listens the first time.